Large patio in Perry Hall. Walls/Columns are the Ammons Wall Block Tumbled Finish chocolate tan blend and pavers are the Appian Natural Finish chocolate Tan Blend. Saint Patrick's Day this monday. 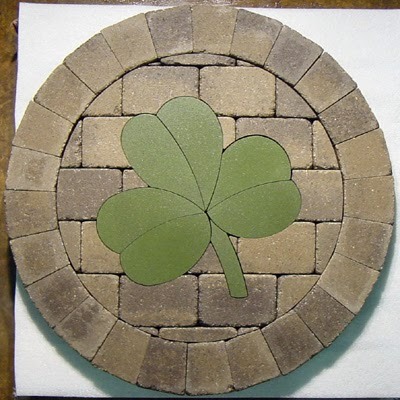 4' Diameter Paver Art Shamrock. Can be installed in a new job or any type of existing pavement you have.